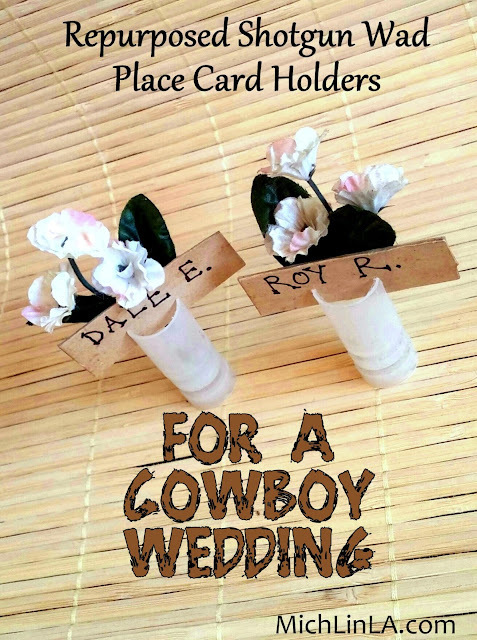 This summer, some friends of mine are going to a rancher's wedding. Location: New Mexico cattle ranch. Dress code: cowboy! Doesn't that sound fun? Who can guess the identity of those interesting white bases? Now hold your horses! Whoa, dogies! Take your time and don't scroll until you have it in your head. Got your guess? Okay, here comes the scroll down. Some of you will know the answer on sight. 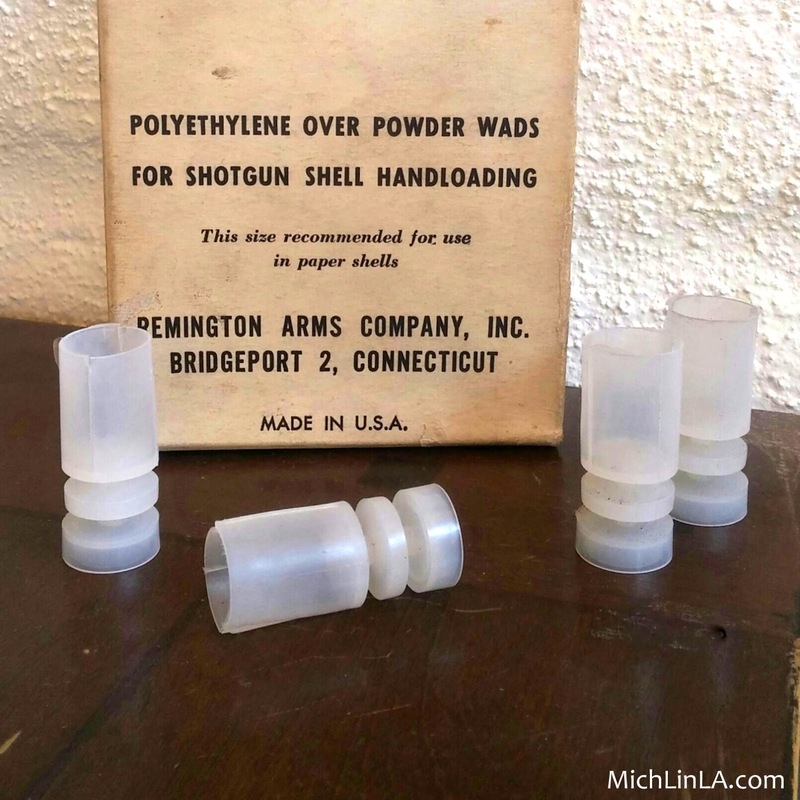 Oddly attractive shotgun loading wads. (That's what she said.) Don't be offended. 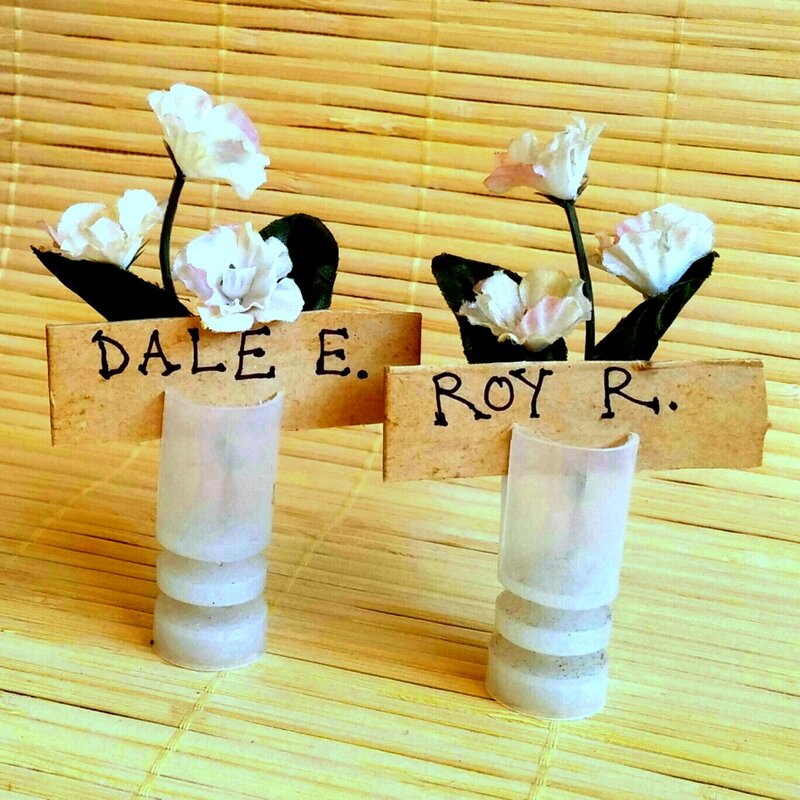 They are so darn cute, with their little space age feet and ready-made slits to hold a place card! Hope you got a laugh out of this one. Later, dogies! I'm laughing my head off right now. Shotgun loading wads? Of course they are. Perfect for a cowboy wedding and so clever of you. Yes, indeed that one was surely a surprise, and great re-use! thanks for sharing on craft schoolin Sunday! Thant's a cute idea. Well I never saw these before, so guessing game was not for me this time :) I hope you enjoyed there.